Pandemic is Best of… & Pitchblak is coming back. Pandemic is happy to announce we were again voted one of Pgh City Paper’s Best Dance Parties 2015. That’s 3 years running! We are really excited about this award. 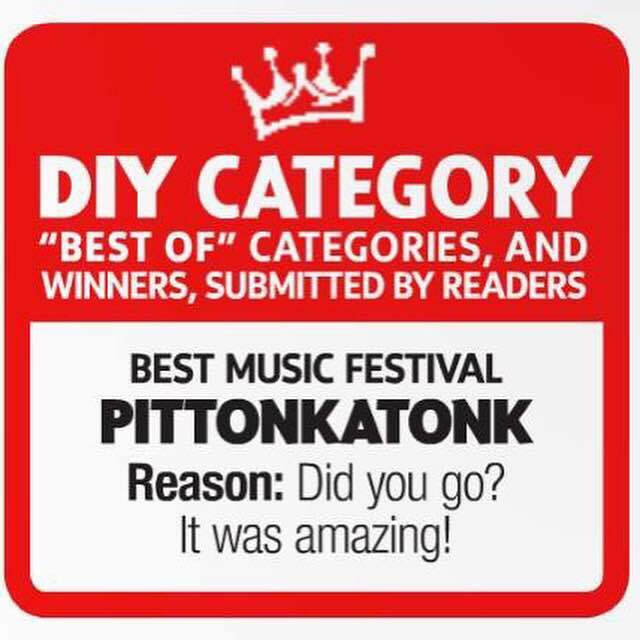 We were also given BEST DIY FESTIVAL for Pittonkatonk. 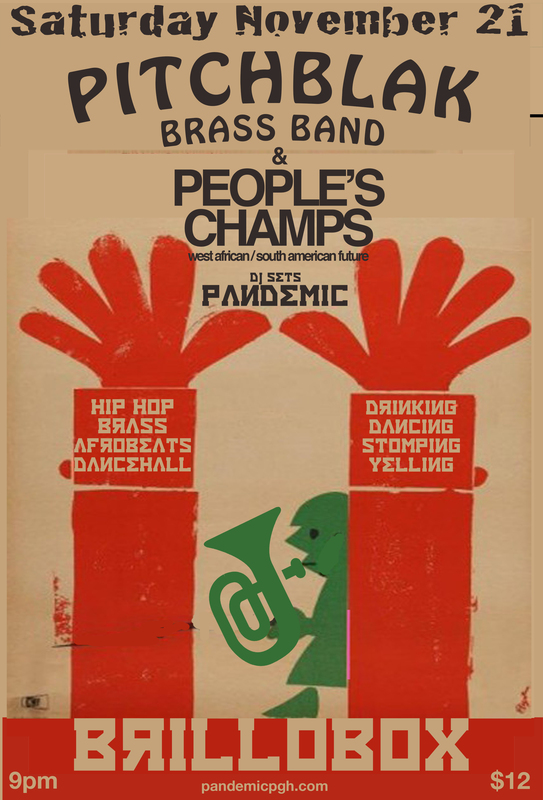 Now we move on to Pitchblak Brass Band and the People’s Champs. Big things in the works for PANDEMIC this summer… First we have 2 resident nights at the brillobox…Every First Friday and Third Saturday. June will be a little weird because it’s June 7 and June 15. 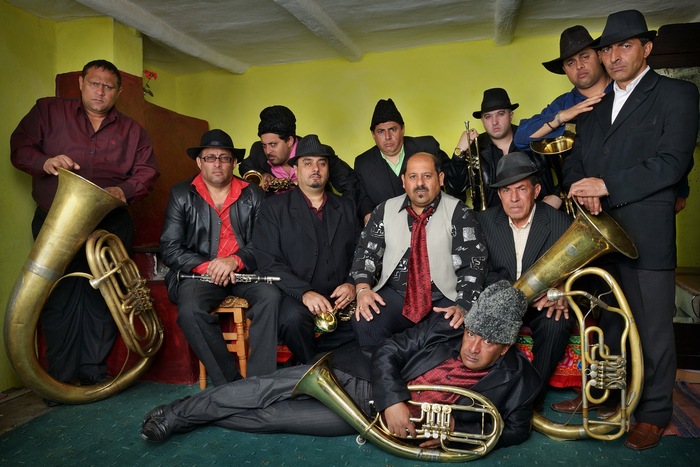 I know only one week apart, but not to worry we are collaborating with multiple groups of bellydancers to bring you an entertaining night (june 15). Shadyside Nursery, Fukuda, and Pandemic (among others) teaming up to present a chilled out, relaxed, bring a blanket and some wine, nurse the hangover, bring the kids, weekly summer concert series entitled “Weather Permitting” every sunday at the Shadyside Nursery on corner of Maryland/ Ellsworth Ave (behind gas station next to Harris Grill). “Weather Permitting” is a family friendly, all ages, outdoor concert event/party that will be ongoing from June 9 thru the rest of the summer. We are joining forces with hopes that this event series will attract a variety of bands, food vendors, and a diverse audience. While acts will be mostly acoustic in nature we have some big things in store including performances by Lungs Face Feet, Beagle Brothers, The Armadillos, The Pressure, The Harlan Twins, and more. Every week different live bands, djs, bbq, food, drinks, etc..